Brett Montrose, Van Pours (VP): How did the idea to open a craft brewery and taproom come to light? Brad McCarthy, White Sails (WS): I’ve been a beer nut forever. In one of my past businesses, I used to travel all over North America and was always looking for the local brewpubs and microbreweries to taste all the different types of beer. I’ve always been learning about the different styles and craft beer has always been a passion of mine. I own and operate a UVin and have been doing that for 13 years now. I have dabbled in all sorts of beer kits trying to find a kit that makes a good beer and have never been happy with any of the beer I’ve made that way. I’ve experimented with making beer from grains in the garage with a neighbour and realized we could make okay beer, but not really good beer. 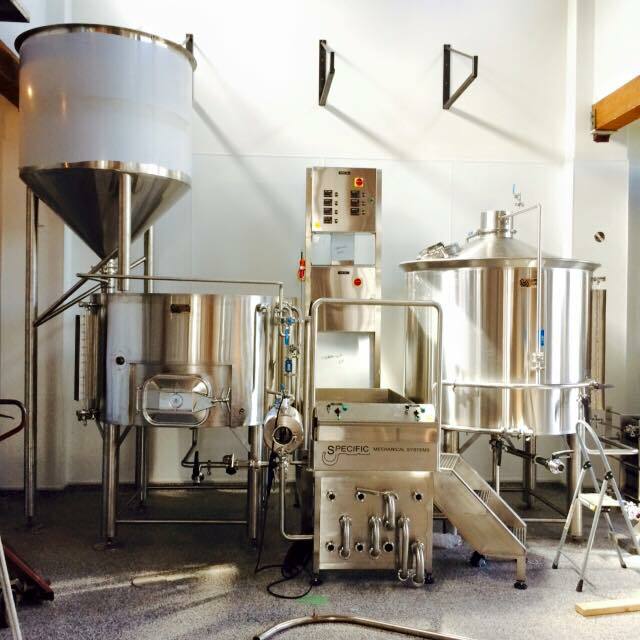 We thought, why don’t we look at opening up a craft brewery? Given the growth of the industry and the lack of a microbrewery in Nanaimo, I started putting the plan together and each step and bit of research pointed to the opportunity being a real good one. VP: What was it about the current craft beer market that made you think it was a good idea to open a microbrewery and taproom in Nanaimo specifically? WS: Seeing the growth of craft beer in Vancouver and in Victoria compared to just Wolf and Longwood in Nanaimo made us realize this was the market that could handle another player in town and that would be excited to see something new. The market has been under-serviced and we felt that with the revitalization going on downtown, our location would be a big hit. VP: Is there a difference between the beer drinkers in Nanaimo and the ones in Victoria/Vancouver? Do you think it will be difficult to bring non-craft drinkers into White Sails? WS: Three or four years ago, it would have been difficult. The market is quickly changing. When you look at the local private beer stores, they’re carrying craft beer and the demand for it is increasing. There is a shift in the demographic happening in Nanaimo. Young people have been exposed to craft beer in other places. They’re coming back to Nanaimo and they’re looking for it. We are behind the Victoria and Vancouver scenes, but we are going to quickly catch up. VP: What is your plan to compete with and differentiate from Wolf and Longwood in Nanaimo? WS: Because Wolf and Longwood are breweries, they only have small tasting rooms. We are a microbrewery with the advantage of having a Liquor Primary license, which allows us to have a larger taproom more apt for hosting events and welcoming higher numbers of guests. We also have an incredible location downtown right across from Maffeo Sutton Park. What’s going to differentiate us is going to be our taphouse. People are going to be able to sit down, have a bunch of beers, bring all their friends in, and enjoy some local entertainment. 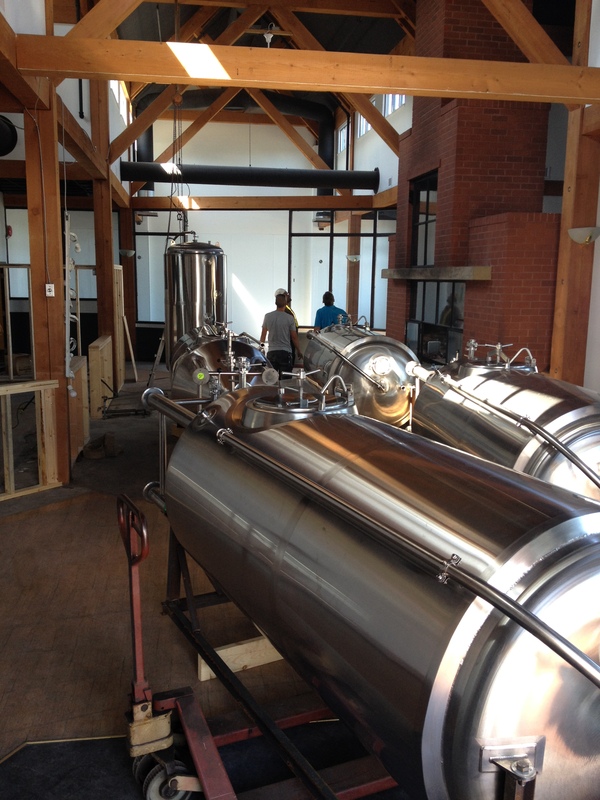 It’s going to be more than just a brewery with a little tasting room. VP: Who’s your Head Brewer? WS: We hired Tyler Papp. Tyler started brewing at Brewsters in Calgary, he moved from there to Fernie Brewing, and again to to Mt. Begbie Brewing. All the while he has continued his training and education and has become a qualified Head Brewer. Tyler has been looking for an opportunity to come in and take over as a Head Brewer in a new brewery. We feel very very lucky to have him. He’s a young fellow with a new family. He’s excited about Nanaimo, from the city itself to the location we’ve got for White Sails. VP: What are your plans for regular brews? WS: Coming out of the gate we are looking to do three flagship beers that we’ll have year round. We’ll start with an American style IPA, a pale ale, and an American wheat ale, which will be our light session beer. VP: And for specialty and seasonal beers? WS: We’re looking at a chocolate porter as one of our early releases to crack into the specialty market. We’re going to get into the heavy Belgians, the hefes, the reds, porters, and stouts. We’ll always have something different on tap. Down the road, we are looking at barrel aging, seasonal radlers, and a variety of funky flavoured beers as well. VP: How many taps will White Sails have pouring? WS: We are hoping to have eight taps running with each one running a separate growler tap. We are looking to bring in a cider tap for the non-beer drinkers and possibly a guest tap as well. Primarily though, our focus is to be serving White Sails beer. VP: Are there any plans for bottling and canning? WS: We will be providing 650ml bomber bottles right off the bat as off-sale items in our taphouse as well as growler fills. We do have plans to expand beyond on that to distribute to local craft beer stores in town and throughout the mid-island. Long-term, we are also looking at a canning line. I personally think there’s a huge market for putting our flagship product into tall cans for the boaters, campers, and active people. I can’t throw a bomber bottle in my hockey bag – I need some cans! VP: What sort of timeline are you looking at for opening day? WS: I want to be brewing beer in September and pouring beer in October. That’s my goal. VP: Why did you decide to call your brand White Sails? WS: It’s a nod to Nanaimo. If you’ve ever taken a look at the City of Nanaimo flag, you’ll notice a white-sailed clipper ship in the upper left hand corner. And if you’re in Nanaimo, a lot of the time you can see the sails go by. Those white sails are a tribute to the immigrants that settled in our community, sailing from Europe by ship. We’re passionate about celebrating our city’s heritage. The sailing aspect of boating goes back to nature, it’s environmentally friendly. There’s the exhilaration of being on the water and the peacefulness of being at the sails. It’s as relaxing at the same time it’s invigorating. If Brad and the team at White Sails can successfully penetrate Nanaimo’s craft market with exceptional craft beer and a first class taproom atmosphere, Nanaimo will be looking at a new downtown fixture unlike anything it’s had before. 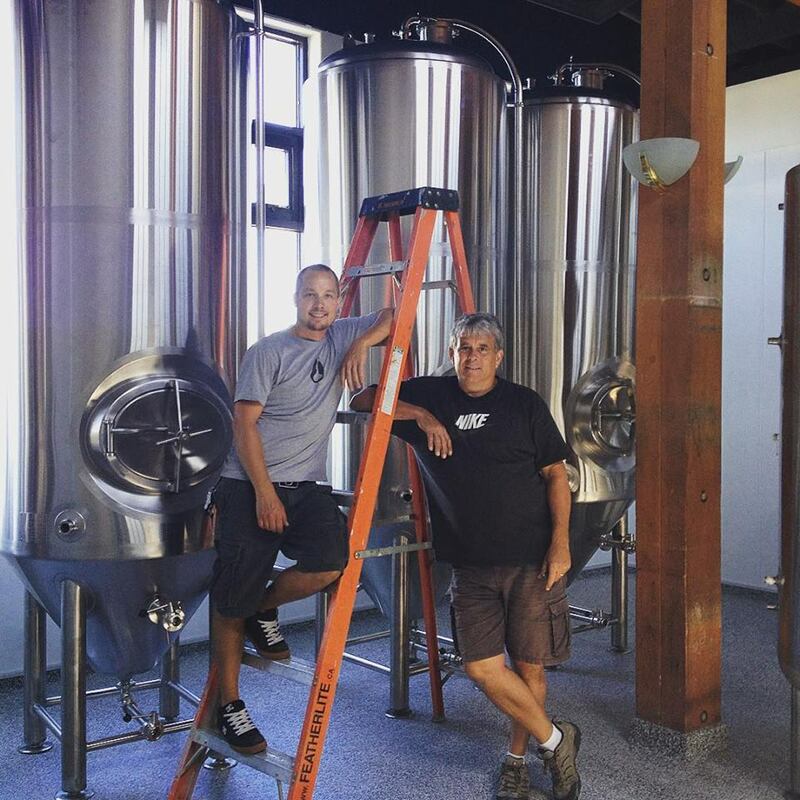 This entry was posted in Uncategorized and tagged bc craft beer, craft beer nanaimo, nanaimo, nanaimo craft breweries, new craft breweries, van pours, vanpours, white sails, white sails brewing. Bookmark the permalink.